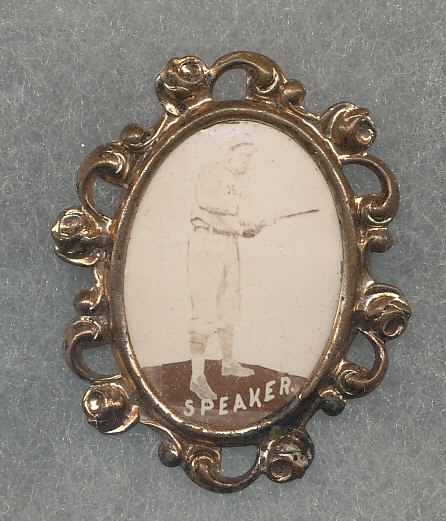 Ornate framed pin depicting Boston Red Sox Hall of Famer Tris Speaker. 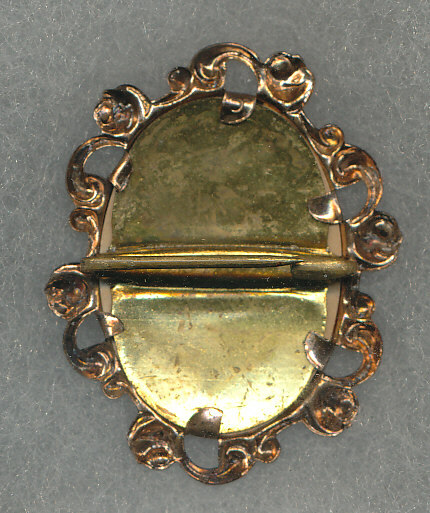 Pin measures 1.25 x 1.5 inches (with frame). Light image, frames has lost some of its luster/sheen but appears to have no damage. Back shows only light wear. Very attractive piece of a popular Hall of Famer.